Fancy seeing new places from the seat of your bike? 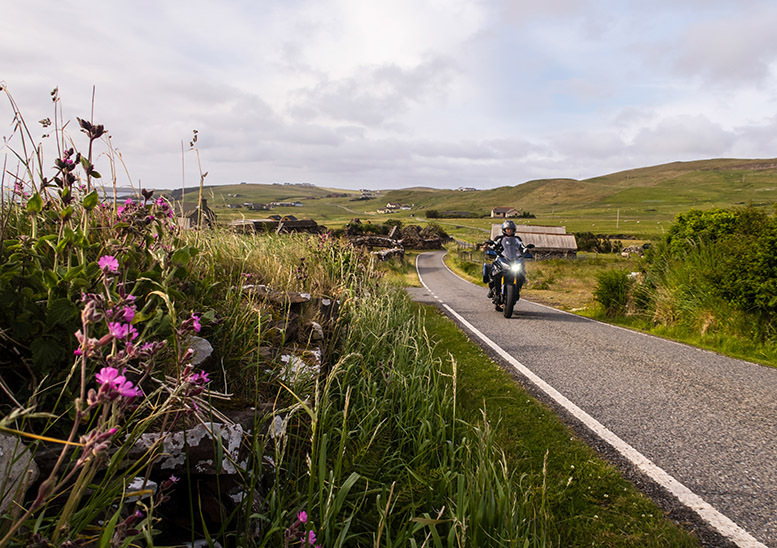 Our series of guides to the best biking destinations continues with Tony Hoare suggesting you see the northernmost tip of Britain – and he doesn’t mean John O’Groats. The part that attracts many to the Shetland Islands in the first place is the idea of going as far north as possible while remaining in Britain. It’s so far north that, at the right time of year, you can see the Northern Lights or experience near clock-round daylight. 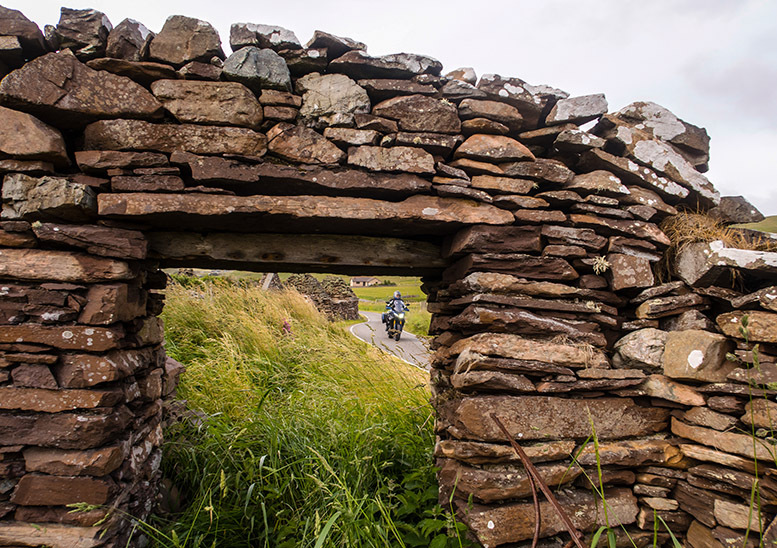 Hundreds of riders are attracted each year by the Simmer Dim Rally, a biker gathering that lasts for almost a week around midsummer’s day and is billed as the northernmost bike rally in Britain. 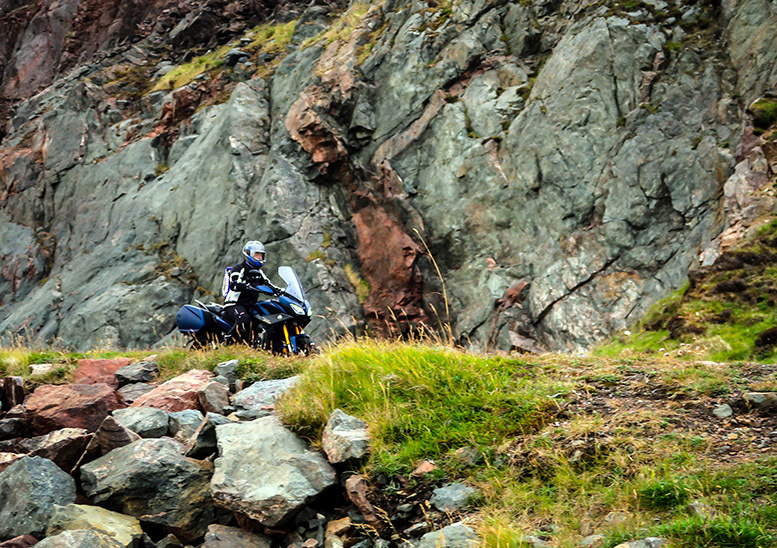 All the locals know the Simmer Dim is on, making it a good time to be a motorcyclist on the islands. 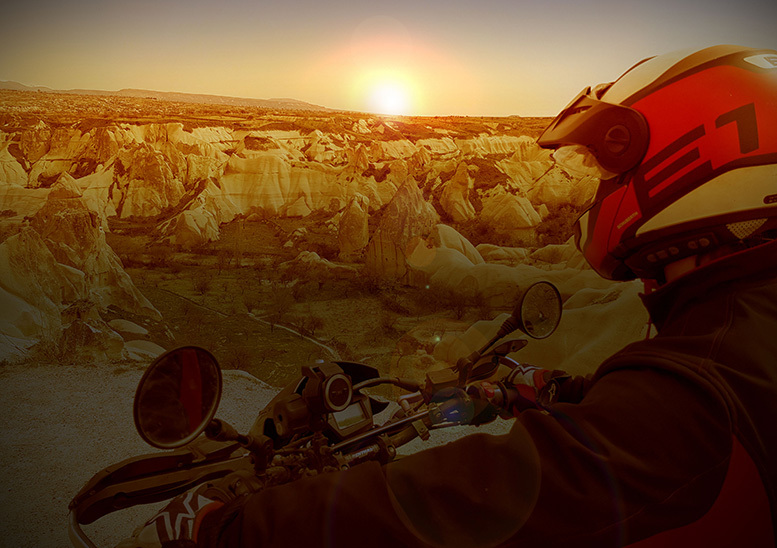 If those are the attractions for a first visit, the insanely friendly welcome, good riding roads and laidback attitude are likely to lure you back for a second. The Shetland Islands are the northernmost group of British Isles, lying about 130 miles north of John o’Groats. Reach them by overnight ferry from Aberdeen or Kirkwall in Orkney. There are three main islands – Shetland is the mainland, with Yell and Unst to the north. They’re connected by inter-island ferries. There are plenty of sights. 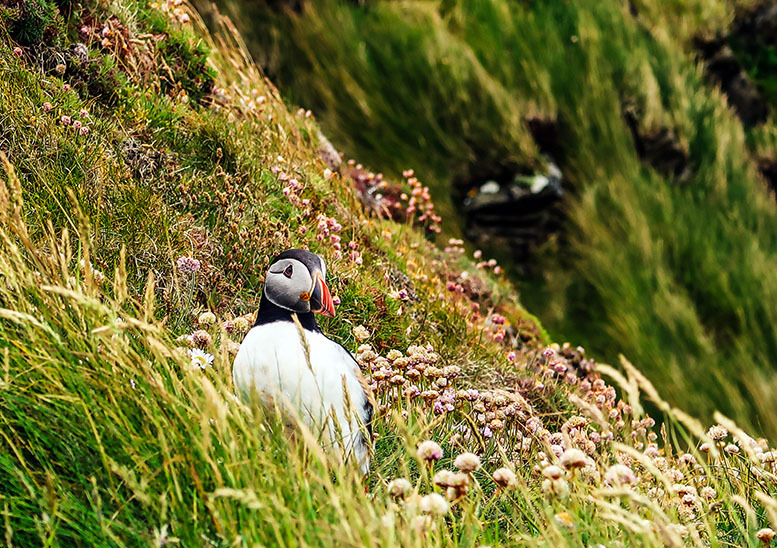 Head to Sumburgh Head in summer to see puffins playing on the wind, or to the roads around the capital of Lerwick for ancient Norse buildings that give a flavour of the Islands’ history. 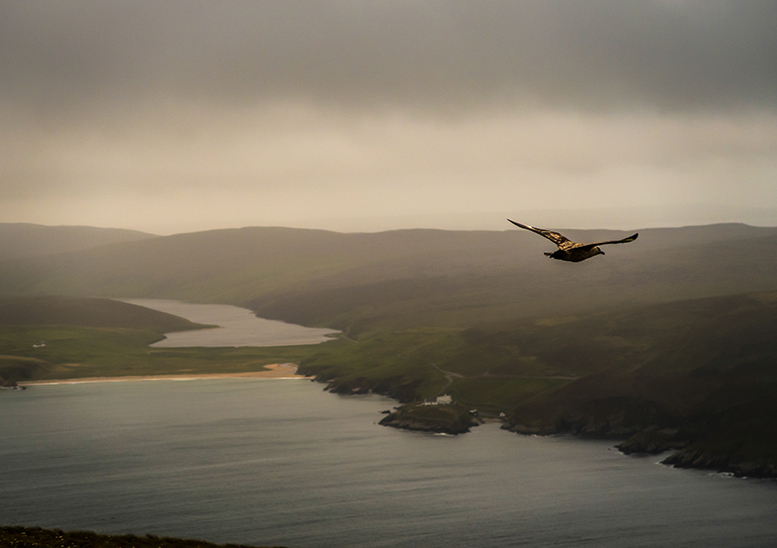 Mavis Grind (pronounced ‘Grinned’) is a short stretch of land that separates the Atlantic Ocean from the North Sea, while St. Ninians Isle is connected to the mainland by a double bay known as a tombolo, which is worth a visit. Frankie’s Fish and Chips in Brae should be on your list for places to eat, as a former UK chippy of the year award winner. Finally, make sure to go and look out to Muckle Flugga. Its lighthouse is the northernmost building and it takes a dramatic ride across all three Shetland Islands to get to Saxa Vord, a former RAF base from which to look out north. 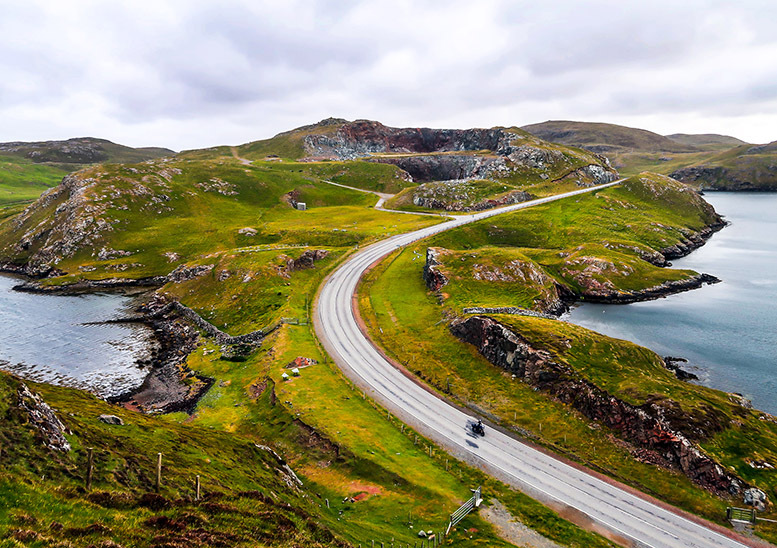 Most of all, Shetland is a great place to ride. The Islands cover 567 square miles of land, with only 22,000 people living there. That’s the equivalent of the population of Richmond-upon-Thames spreading out over the whole of Greater London, so there’s plenty of room to enjoy the roads. Be prepared for the weather. I went during the UK heatwave of 2018, but those temperatures didn’t come with me to the Shetland Islands. The mercury hovered around 10°C, the wind regularly topped 50mph and fans of slashing rain would have been in their element. Local riders say they wear winter gloves all year round and reckon anything from 13°C and up is a nice day, while 20 degrees has newspaper editors reaching for the ‘Phew, What A Scorcher!’ headlines. I was told that you CAN get good weather on the Shetland Islands, but it’s not the place to visit if you’re looking to guarantee constant sunshine and dry roads. It’s the place to go if you want to experience something different without digging out your passport. During the Simmer Dim Rally, even if you can’t stand the idea of sleeping under canvas and entering the liver ‘exercise’ Olympics yourself. There are plenty of bikes whizzing around and the locals are ready with an even friendlier welcome for the duration of the event. There’s also 19 hours of daylight in every 24 at that time of year, giving you a better chance of some decent weather. 1. 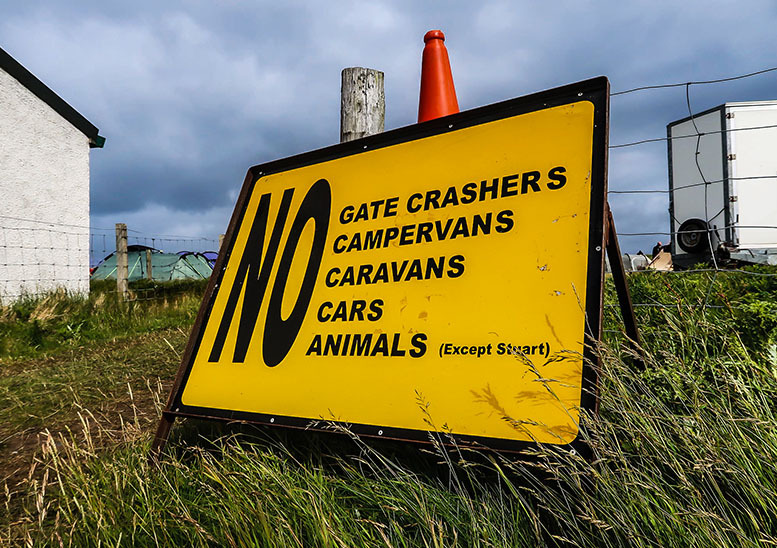 Don’t call the Islands ‘the Shetlands’. That term is about the only thing that can cool their warm welcome! 2. Be more open. The sheer warmth of the welcome is surprising. 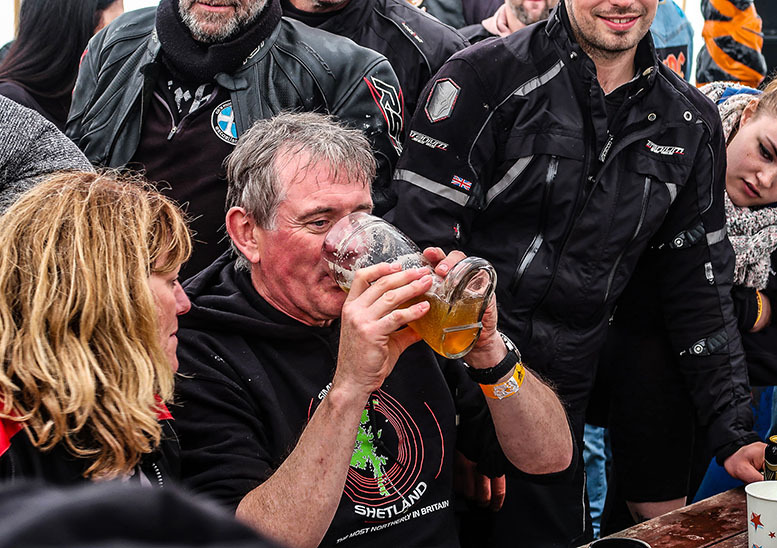 I’ve ridden in most areas of Britain and much of Europe, but Shetland Islanders have them all licked for the friendliest hosts. 3. Shetland’s economy is mostly based on oil revenue, but that doesn’t mean you get easy access to fuel. You shouldn’t get into difficulty… if you plan ahead. Google only lists six fuel stations, all on the mainland. There’s also a pump at the shop in Hillswick, which isn’t listed by Google. 4. There’s a similar situation with food, as the 24-hour economy has mercifully not yet reached Shetland. If you’re eating out, don’t expect to find a McDonalds at 10pm! 5. Expect to cover some miles, quickly. The islands cover quite a large area and the roads are both fast and quiet. You’ll munch through the miles far quicker than you’d expect.